Is ‘American Horror Story: Apocalypse’ Going To Visit the Hotel Cortez? Surprise, b—! The witches are back! Finally, the American Horror Story crossover became an actual crossover. At the end of Wednesday night’s Apocalypse, Coven‘s Cordelia Foxx, Myrtle Snow, and Madison Montgomery waltzed into Outpost 3 to resurrect three poisoned guests. We all knew the eighth season would be a crossover between Murder House and Coven – and more Season 1 characters are expected to return in episode six. But is Apocalypse also going to connect to other AHS seasons? Last week I shared one theory for how the latest season might tie into Asylum. 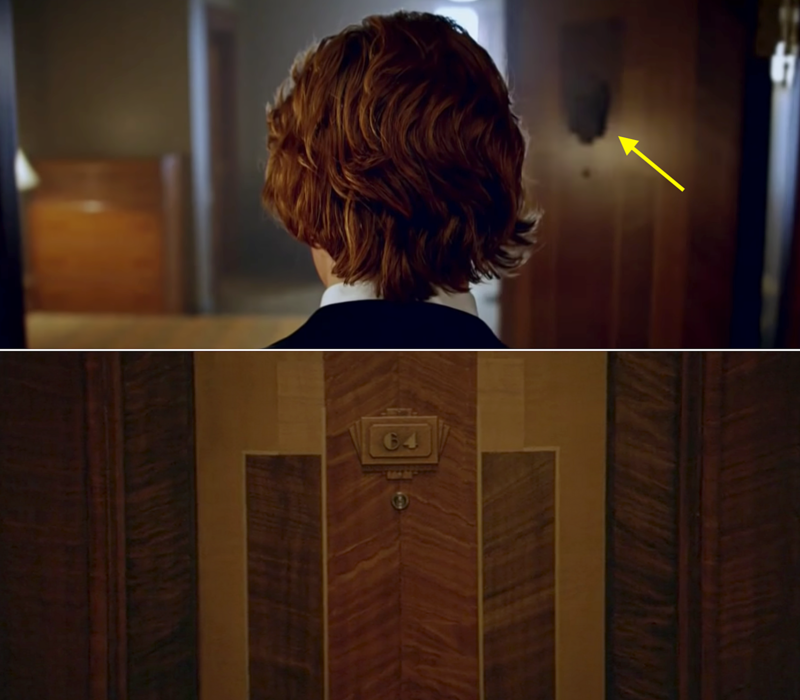 Now a new fan theory is gaining traction on Reddit, suggesting Apocalypse will connect to AHS: Hotel. The evidence for the theory didn’t come from last night’s episode though, but in the teaser for next week’s episode. Sure looks like the Cortez to me! And the location makes sense, given that Michael grew up in L.A., near the hotel. But why would he be there? Some fans are guessing the Antichrist is paying a visit to Queenie’s (Gabourey Sidibe) ghost. In case you forgot, Queenie checked into the Cortez while on her way to a taping of The Price Is Right. But poor Queenie never got to spin that wheel, and instead got killed by Angela Bassett’s Ramona and Evan Peters’ Mr. March. (You can get a better look at her Cortez room here.) That means her ghost is likely haunting the halls of the hotel. Is Michael stopping by to bring her back to life? Or maybe he has a much more sinister motive. First, it’s important to note the shots of Michael in the promo are likely flashbacks. Take a look at his hair – it’s much shorter and makes him look younger. Then there’s his clothes. The black-and-white outfit he’s wearing was also worn by a group of young men seen in the Season 8 trailer behind Cordelia. We know Outpost 3 used to be an all-boys school, presumably the warlock equivalent to Miss Robichaux’s New Orleans witch academy, so it’s most likely Michael used to be a student at the boys school before he realized how powerful he was and turned evil. He could’ve been allies with the New Orleans witches and tried to save or resurrect Queenie. Or perhaps he visited her ghost to make sure she stayed dead so she and her coven wouldn’t get in the way of his apocalyptic plans. Speaking of Madison ... the promo for next week’s episode shows Michael alongside Emma Roberts’ witch, who’s working at a Bed, Bath & Beyond? That’s gotta be her own version of hell, right? (Honestly, being stuck in BB&B sounds like my own personal heaven.) Technically she said her personal hell was being cast in a minor role in a TV production of The Sound of Music, but maybe hell gets worse if you die, come back to life, and die again. Plus, a continuation of the whole hell and punishment theme would tie in nicely with the Dante’s Inferno theory I wrote about last week. Whatever happens, it’s safe to assume AHS is about to check into the Cortez one more time. Surely Lady Gaga is too busy in the shallow make an appearance as the Countess, but maybe Peters’ Mr. March will get to pop up. We’ll find out – or maybe we won’t! who knows with this show – when AHS: Apocalypse returns next Wednesday. Source: Is ‘American Horror Story: Apocalypse’ Going To Visit the Hotel Cortez?